I love everything about baby quilts. I love picking out patterns and fabrics. I quilted loops within each triangle - each direction. The backing is just as sweet at the top. I quilted random spaced straight lines in the solid background and looped the patchwork squares. I like how Jan used some strips in the center of the back. I loved this one so much that I made one, too. I don't know who will get it - I just had to have one on hand! I quilted wavy lines and looped the patchwork squares. I used a dot flannel for the back. Thanks, Jan, for the simple idea - I'll be making more of this one! Denise, from Florida, made this cute critter quilt. I quilted a wood grain all-over pattern. Julie, from California, pieced this patchwork, wonky star quilt for her new grandson. 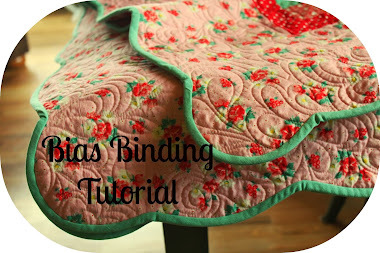 I love how it turned out - she wanted simple quilting because she put grey minky on the back. Are you working on any baby quilts? 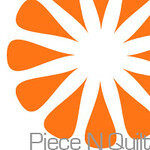 It's such a great place to start in quilting - you're right....instant gratification! They are super cute... Baby quilts are so special because you know a little bundle is going to use it and carry it around when they start walking.... so cute. I really love the first one too. The quilting is beautiful. Love the loops. Little bundles wrapped in quilts - love. 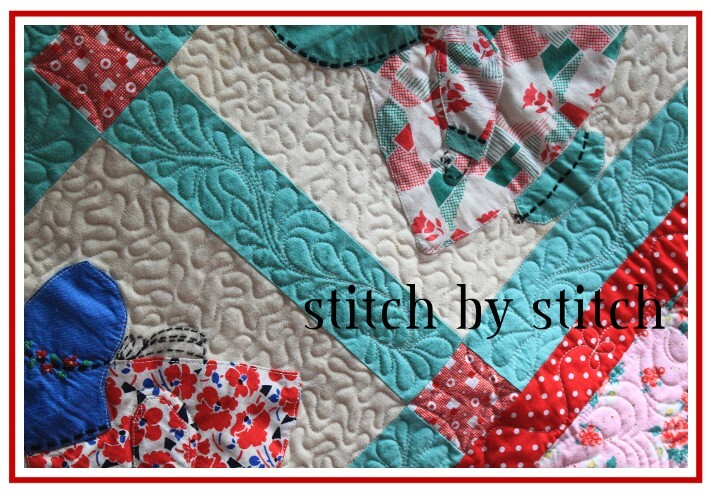 Thanks for the compliments - I love quilting baby quilts! thanks! I could make about a dozen of these and not get tired of them! Yes, baby quilts are the best! Such a fun break from larger quilts - I agree! Thanks - I love the wonky stars on Julie's quilt, too. I am! I have a great collection of blocks from an exchnage I did with some wonderful friends that I'm using in a baby quilt...my goal is to keep a few baby quilts on hand. Plus, they're really fun to sew! Love this blog!! I think these are so unbelievably lovely!! I'm SO NEW to quilting, so I've been sneaking around dozens of quilting blogs trying to amass as much information as possible before I cut into some gorgeous fabric I bought. I'm SO SCARED to ruin it!! I was wondering, does anyone know what fabric line(s) is/are used in the first quilt? The quilt with the bunnies and pastels?